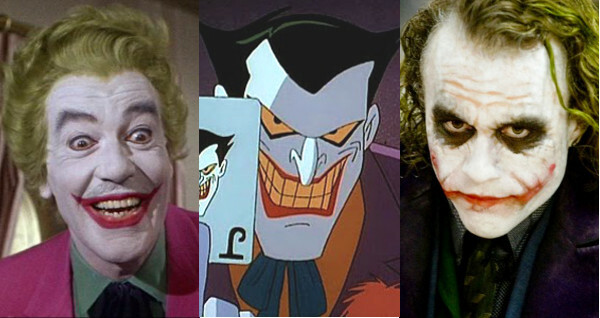 This week's poll seeks to answer the question: Which actor played your favorite Joker? The Joker is the ultimate comic book supervillain. He was created by Jerry Robinson, Bill Finger and Bob Kane, and first appeared in DC Comics Batman #1 (Spring 1940). From his first appearance with his broad toothy grin, the Clown Prince of Crime's been an amazing villain. As Batman's archenemy, the Joker has appeared in TV shows, movies and games. Everywhere Batman goes, the Harlequin of Hate follows. We follow him too. This is strange, considering the Joker is a highly intelligent, master criminal and psychopath with a warped, sadistic sense of humor. For whatever reason, we can't help laughing along with the nutball. Who Played Your Favorite Joker? that is a tough question... each played it out differently, as the time that it came to us visually... so once again... tough answer. Mark Hamill was a Joker? Very famously, the voice of the classic 1990s cartoon, based on the Trickster he played in the short-lived Flash live action series. Favorite has to be Heath Ledger. He didn't just play the Joker. He created a new icon. Second favorite would be Jack Nicholson. John DiMaggio's was not a great fit for the character or that adaptation. But now I really want to watch the Dark Knight Returns adaptation(s), so I can catch Michael Emerson's. It's worth noting that Brent Spiner was all Joker in Star Trek Generations. It's still a little disappointing that he didn't have much of a career outside of Star Trek. I never knew half those people played the joker. So, I'll have to go with Ledger. Tony nailed it, The Joker is a hard role to fill, and I think any actor that plays him has got moxie.. I didn't think much of Michael Emerson, which probably means you'll love it.